For many children with Asperger’s (AS) and High-Functioning Autism (HFA), problematic behaviors are common. The term “problematic behavior” is a controversial one, but it’s intended to suggest that certain behaviors present a “problem” for parents, siblings, peers, teachers, therapists, etc. This helps to prevent internalizing the cause of the behaviors and blaming the “special needs” child. This is a very important concept in AS and HFA, because it’s unlikely that any behavior which causes difficulties for parents and others is intended vindictively or maliciously. There is usually some other, unidentified, cause that provokes problematic behavior. Young people on the autism spectrum derive no enjoyment by being a problem to others. Most problematic behaviors occur in the presence of parents and siblings (probably because AS and HFA children feel more comfortable simply being themselves when around familiar people). If such behavior is a problem for therapists and other professionals (which it is), then it can certainly be a challenge for moms, dads and siblings. Thus, it’s crucial that problematic behaviors are dealt with in way that (a) helps the entire family to cope more effectively, and (b) allows the “special needs” child to develop social skills and emotion management. Low-frustration tolerance is one of the most common problems in young people on the autism spectrum. They often appear to go into a state of anger, rage, anxiety, or fear for no reason. All children get frustrated and then act-out from time to time, but this problem is more of a challenge for moms and dads of autistic children. These children may seem inconsolable during the episode of frustration, the episode often lasts a long time, and the resolution that typically accompanies the end of feeling frustrated rarely occurs. Low-frustration tolerance is just one example of problematic behavior. Similar episodes of panic, anxiety, anger, and aggression may be seen all through childhood, the teenage years, and even into adulthood (e.g., yelling, crying, resisting contact with others, pushing others away, refusing to respond to interaction, using others as objects, refusing to comply with daily tasks, etc.). These behaviors are “problematic” in the sense that they cause disruption (e.g., to a classroom engaged in a lesson, a family outing or event, etc.). Children and teens with AS and HFA often rely on rituals, routines and structure, which helps define the world in terms of consistent rules and explanations. Consistency helps these young people to function more comfortably in a world that would otherwise be perceived as confusing, chaotic and hostile. Most kids on the autism spectrum find their own strategies for imposing structure and maintaining consistency. Without this structure, they would be totally overwhelmed and unable to function …they would be unable to understand the behavior of others …and the information they receive through their senses would be nearly impossible to bring together into a purposeful whole. When structure and consistency are disrupted in the AS or HFA child’s life, the world becomes confusing and overwhelming again – thus launching him or her into “problematic” behaviors as a response. This disruption of structure can be obvious (e.g., getting up at an unusual hour, having a collection of objects disturbed, not being able to engage in a favorite activity, being made to go a different way to school, etc.) …or it may be hidden (e.g., sensory sensitivities, subtle changes in the environment which the youngster is used to, etc.). Many of these “triggers” may be out of the control of the child. Thus, it’s important to remember that low-frustration tolerance and similar behaviors are not cases of “misbehavior” necessarily, rather they may simply be natural reactions to various unwanted stimuli. 1. At the time of the inappropriate behavior, be sure to limit your talking to “stating the rule and consequence.” Lengthy debates, explanations and arguments should be avoided at this time. Also, ignore complaints from your youngster. Further discussion about the rule and consequence can be done at a later time when things have calmed down. 3. Establish family rules and put them in writing. Rules should be (a) specific, (b) easy to understand, (c) achievable, (d) age-appropriate, and (e) consistent. Rules should be discussed and decided upon ahead of time in mutual collaboration between the mom and dad without the youngster present. Then, after the rules have been agreed upon, they should be explained to the youngster in simple, concrete terms. 4. Help your youngster use problem-solving skills in order to make a plan for changing behavior in the future. For example, if the behavior involves difficulties getting along with peers, help your youngster learn appropriate communication and conflict resolutions skills. 5. Listen to your youngster’s point of view about a particular rule. When appropriate, consider making changes to the rule based on your youngster’s reasoning. This doesn’t mean you are “giving in” to your youngster’s demands, rather it means that (at times) you will negotiate with your youngster on a rule and reach a compromise. 6. Make your expectations very clear. For example, let your child know that (a) she WILL be required to perform certain tasks (e.g., completing homework, cleaning her bedroom, getting ready for school on time, etc. ), and (b) there WILL be consequences for not completing such tasks. 7. Set up routines for daily living that are consistent and predictable (e.g., morning, mealtime, and bedtime routines). Your youngster will learn many things from these routines (e.g., how to take care of herself, how to interact with others, discovering that life runs more smoothly if things are organized and predictable, etc.). 8. Simply ignore some behaviors (e.g., whining and complaining). 9. Structuring your youngster’s environment. Determine what activities he will engage in and how he will fill his time. Also, be available physically and mentally to provide appropriate monitoring and supervision. 10. Try to anticipate problem situations (e.g., don’t let your youngster get into a situation where he becomes overly tired, hungry, or bored). 11. Use distraction techniques. If your youngster is acting-out, distraction with something of interest can focus her on more positive behaviors. 12. Use rewards to increase appropriate behavior. When it comes to children on the autism spectrum, it’s usually better to reward desirable behaviors than to discipline undesirable ones. Also, it’s best to provide the reward immediately after the desired behavior has occurred. Note: While providing structure and consistency are important skills for you to use with your AS or HFA child, it’s also important to be aware of the importance of allowing her some independence and autonomy. As often as is appropriate, allow your child to have opportunities to make her own choices and decisions, respect her choices and decisions, and allow natural “real-world” consequences to occur (when safety is not an issue, of course). Disciplining a teenager with Aspergers or High-Functioning Autism (HFA) is likely to bring out the best and the worst in a parent. Moms and dads try to help their “special needs” teenager make up for what's missing by increasing their love and attention, but he or she often triggers special frustrations in parents. Most teens go through predictable stages of development in adolescence. You know about when to expect what behavior and how long it will last. Knowing you don't have to weather this “difficult behavior” indefinitely helps you cope. But with many teens on the autism spectrum, stages seem to go on forever, as do the frustrations in both the teenager and the parent. Parenting an Aspergers or HFA son or daughter is a tough job. The ups and downs and joys and sorrows are magnified. You rejoice at each accomplishment, and you worry about each new challenge. 1. Aspergers and HFA teenagers need developmentally-appropriate structure, but it requires sensitivity on your part to figure out what is needed when. Watch the teen, not the calendar. Try to get inside his head. 2. Be prepared to run out of patience. 3. Be sure to change your standards. Before a child is even born, moms and dads imagine what his life will be like (e.g., piano lessons, baseball, graduating from college, marriage, etc.). Even with a “typical” teen, you have to reconcile these dreams with reality as he grows up. With a teen on the autism spectrum, this is a bigger task. You learn to live in the present. The milestones of your teen's life are less defined and the future less predictable (though he may surprise you). In the meantime, set your standards for your teen at an appropriate level. 4. Don't compare your “special needs” child to other “typical” children. Your Aspergers or HFA teen is special. Comparing her to others of the same age is not fair. 5. Don't focus on the disorder. Instead, practice positive parenting to the highest degree that you can without shortchanging other members of the family. Feeling loved and valued from positive parenting helps a teen cope with the lack of a particular skill. 6. Visual aids may help your teenager see the reason for the consequence. Make an “if/then chart” or a “discipline chart” that shows exactly what will happen if the teenager engages in a particular behavior. Another visual aid that comes in handy is a “rewards chart.” Equal importance should be placed on good behavior, including lots of praise and tangible rewards, to balance out the negativity. 7. View “misbehavior” as a signal of needs. Everything teenagers do tells you something about what they need. This principle is particularly true with Aspergers and HFA teenagers. 8. There are occasions when negative consequences become necessary (e.g., grounding, taking away privileges, etc. ), but they should always be immediate, definite, and relevant. Teens on the spectrum tend not to perceive cause and effect and are likely to have short memories, so prolonged consequences not only lose their impact, but also their effectiveness. Taking away the teen’s favorite activity for being rude to his mother or father, for example, is not relevant to the infraction. The focus for the teen, then, becomes the lost privilege and his anger at his mom or dad – not what he did to incur the consequence in the first place. A more appropriate consequence might be for the mother or father to respond, "I won't listen to that kind of talk," and walk away. 9. Teens with Aspergers and HFA thrive on structure and clear rules. Thus, posting a list of unacceptable behaviors and their consequences can be very helpful. 10. These young people tend to enjoy being isolated, because it is less stressful for them and they do not have to socialize with others. For these teens, being sent to their bedrooms for a time-out can actually be a positive experience unless modified slightly (e.g., being sent to the bedroom with no computer privileges). 11. Reset your anger buttons. Your "special needs" teen will do some things that exasperate you. 12. Remember that discipline literally means "teach" – not "punish." Negative punishments rarely change unwanted behavior permanently. They only stop the behavior in that particular time and setting. Positive consequences, on the other hand, have been shown to be far more effective in changing inappropriate behavior patterns. Aspergers and HFA teens respond well to praise, encouragement, and positive reinforcement. Complimenting the teenager for a responsible, cooperative, or compassionate act will tend to promote that behavior. 13. Moms and dads should list the behaviors that they feel are most deserving of attention. This is an important step because some behaviors may need intervention or therapy in order to be eliminated rather than simple disciplinary tactics. Odd self-soothing behaviors are common in young people with sensory processing issues, and they can be easily replaced with more appropriate ones. 14. Give your teen choices. Initially, you may have to guide your teen into making a choice, but just the ability to make a choice helps the teen feel important. Present the choices in the teen's language. The more you use this tip, the more you will learn about your teen's abilities and preferences. 15. Help your teen build a sense of responsibility. There is a natural tendency to want to rush in and do things for a “special needs” teen. For these teenagers, the principle of "show them how to fish rather than give them a fish" applies all the more. The sense of accomplishment that accompanies being given responsibility gives the teen a sense of value and raises his self-esteem. 16. Know that “different” doesn't mean “lesser.” In a teenager's mind, being different means being substandard. This feeling may be more of a problem for “typical” teens than for Aspergers and HFA teens. Most teenagers measure their self-worth by how they believe others perceive them. Be sure your teen's siblings don't fall into this "different equals inferior" trap. This is why the term "special needs" is not only socially correct, but it's a positive term, not a value judgment. In reality, all teenagers could wear this label. 17. Know that “different” doesn't mean “unable.” While it is true you have to change your expectations of an Aspergers or HFA teen, you don't have to lower your standards of discipline. It's tempting to get lax and let your teenager get by with behaviors you wouldn't tolerate from your other kids. Your teen needs to know, early on, what behavior you expect. Many moms and dads wait too long to start behavior training. It's much harder to redirect a 130 pound young man than a 50 pound boy. Like all teenagers, the Aspergers or HFA teen must be taught to adjust to family routines, to obey, and to manage his behavior. 18. Moms and dads need to be in agreement when applying discipline to any teenager, but especially for teens on the spectrum. If one parent thinks grounding is the appropriate punishment, while the other feels that time-outs will be more effective, this will be confusing for the teenager. 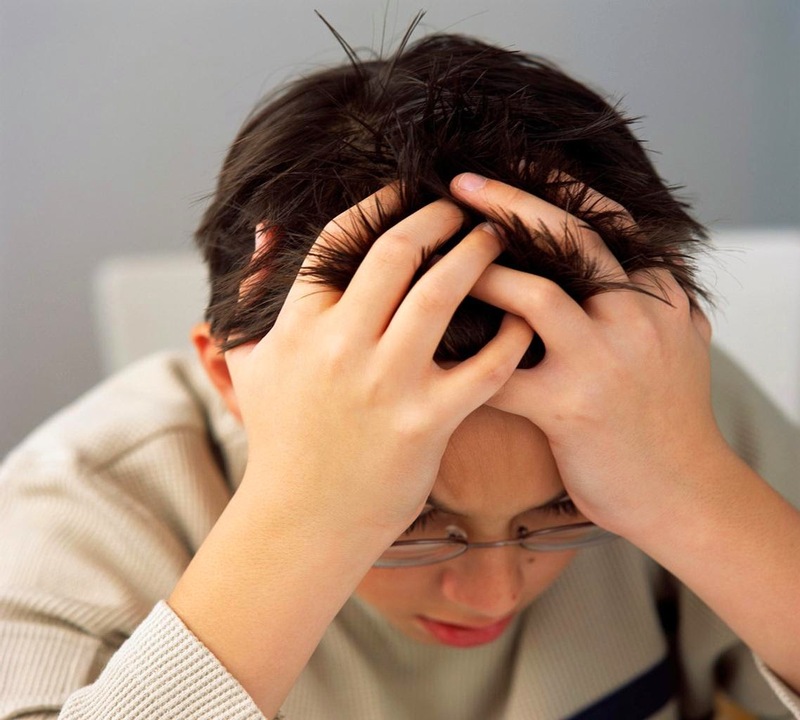 Disciplining a teenager with Aspergers or HFA is not an easy task, particularly in light of some of the characteristics commonly associated with the disorder (e.g., a short memory for misdeeds but not for the consequences, the inability to perceive cause and effect and to generalize from one situation to another, the tendency to blame others rather than assume responsibility for behavior, etc.). Nonetheless, with patience, humor, and a sense of perspective, moms and dads can become their teen's ally, even in their role of authority. The communication problems of kids on the autism spectrum vary, depending on their intellectual and social development. Some may not speak much, whereas others may have rich vocabularies and are able to talk about topics of interest in great depth. Most have difficulty effectively using language. Many also have problems with word/sentence meaning and understanding. A lack of communication skills may cause inappropriate behaviors and challenging situations for both the youngster and parent. The Picture Exchange Communication System (PECS) is an augmentative communication system developed to help these “special needs” kids quickly acquire a functional means of communication. PECS is appropriate for kids who do not use speech or who may speak with limited effectiveness (i.e., those who have articulation or motor planning difficulties, limited communicative partners, or a lack of initiative in communication). PECS has a number of advantages over other methods of addressing communication. Most importantly, it works, which encourages the youngster to communicate more often, reducing frustrating situations. When your youngster hands you a picture or sentence strip, you can easily understand what they are trying to communicate with you. From the start, communication is initiated by your youngster, making it meaningful and highly motivating. It is an inexpensive communication system. A PECS symbol can be as simple as a hand-drawn picture, or a snapshot. The youngster is able to communicate with anyone, versus sign language. Anyone willing to accept a picture is available, not just those who understand sign language or who are familiar enough with the youngster to understand him/her. Kids are able to generalize communication to a wide variety of situations and people. A uniform system for using Velcro fasteners on your symbols, boards, and books needs to be established. This will ensure that all of your PECS symbols can be used with any of the boards or books within the youngster's environment. PECS is an inexpensive card system that involves cards on which pictures or sentences are placed that have meaning to the youngster and can communicate for him. Once a card is given, the needs of the youngster are quickly understood, and the need is met by the parent. The communication is initiated by the youngster so that there are no memorization skills required. Moms and dads can draw their own PECS cards, or they can purchase the PECS system through Amazon (see below). The picture can be elaborate or just be a symbol that the child attaches meaning to. The vocabulary is gradually increased so that many pictures are available in the communication process. One of the values of this system is that it’s not exactly sign language so that anyone who can interpret a simple picture can learn what it takes to help the child get his or her needs met. It can be used at home as well as in school. Many children with Asperger’s (AS) and High-Functioning Autism (HFA) have been known to “meltdown” immediately after being reprimanded or disciplined by parents. Even the mildest form of correction (e.g., being told to stop banging a toy on the furniture) can be very upsetting to these “special needs” children. A youngster who cries easily, shows excessive responses to appropriate consequences and general discipline, or breaks downs over minor issues is considered “sensitive.” Sensitive kids on the autism spectrum pose some significant challenges when it comes to discipline. They tend to become emotionally overwhelmed easily, are likely to get upset if the parent raises an eyebrow at their behavior, and often worry about getting into trouble. What earmarks a youngster as sensitive? Does he ask profound questions, think a lot on his own, or reflect on his experiences? Does he seem especially sensitive to the feelings of animals? Does she feel a wide, yet intense range of emotions? Does she notice when small household items are moved, or minor changes in other people (e.g., a haircut)? Does she sometimes get so excited she withdraws? Does your youngster get emotionally overwhelmed easily? Is your youngster highly aware of her surroundings? Is your youngster highly sensitive to his senses (e.g., excellent sense of smell or hearing, very sensitive to pain, etc.)? Coming to the conclusion that your AS or HFA youngster is sensitive can be tough – not tough to understand, but tough to swallow. But don’t despair! It is better that you know early on and take steps toward helping your youngster deal with his or her world going forward. As a mother or father, you may struggle trying to discipline your sensitive child. He may become hysterical when you enforce rules, or appear totally devastated when you correct improper behavior. But, discipline is part of parenting, and there are ways to discipline even a sensitive youngster. When determining your disciplinary methods, take your youngster’s sensitivities into account. Harsh discipline (i.e., punishment) or severe consequences (i.e., consequences that are disproportionate to the misbehavior) will make a bad problem worse. Instead, find ways to nurture and guide your “special needs” youngster. 1. Although it’s tempting to bend the rules so as to not upset your sensitive AS or HFA youngster, it won’t be helpful in the long run. Flexibility with some rules is perfectly acceptable, but remember that your main task as a parent is to teach your youngster how to be a responsible grown-up. Overprotective and/or overindulgent parenting does not prepare children for the real world – it literally stunts their emotional growth. 2. Many sensitive kids on the spectrum get easily distressed when they have to make a decision, and they often reject opportunities out of fear. Sometimes the best thing a parent can do is “nudge” her youngster to take a risk or try something new. If your sensitive youngster knows you will be there for him – and love him no matter what he is feeling – he will have less hesitation in new situations, and will be less self-conscious or “risk-averse.” Also, if he knows you’re not going to “push” him to be something he’s not, he will be more relaxed and prepared for the challenges ahead. 3. Rather than sending your sensitive youngster to "time-out" for bad behavior, create a “relaxation zone.” This is a place where he can go to unwind and recompose himself. Supply the zone with constructive activities (e.g., crayons and paper). Decorate it with soft pillows, or fill it with stuffed animals. When your sensitive youngster begins to act-out, direct him to his relaxation zone where he can have a break. This also gives you an opportunity to regain YOUR composure and rationally figure out the best way to address your child’s behavioral issue. 4. Don’t try to change your youngster’s temperament. Instead, try to help her learn how to cope with sensitivity in a less sensitive world. Instead of viewing her as “weak and whiny,” focus on her abilities and gifts. 5. Make small changes over an extended period of time. If you need to make changes to your youngster’s environment, make them little by little. He will feel less overwhelmed and agitated as a result. 6. When issuing a consequence, explain your reasoning. As a mother or father, you probably believe that your youngster should follow the house rules because you are the “boss.” But, sensitive kids on the autism spectrum do best when parents explain their actions. These children are not necessarily trying to be defiant or questioning your authority and decisions, they simply don't understand why the rules are in place. So, take the time to explain why you are disciplining your child and why you want him to stop a particular behavior (e.g., “You are using this sharp knife as a toy. This is not a toy. You could cut yourself, and I don’t want that to happen. So from now on, if you choose to play with the knives again, you will also choose a consequence.”). 7. Praise your youngster’s “efforts” rather than only praising success. Make it clear that hard work is worthy of praise, even if it doesn’t turn out perfectly in the end. For example, provide praise for behaving bravely, for handling frustration appropriately, or for telling the truth (some sensitive kids lie to get out of trouble, so provide them with a lot of praise for being honest, especially if their honesty doesn’t paint them favorably). 8. Reframe your child’s sensitivities (i.e., turn it into a positive). Help her understand that she simply experiences the world more deeply than most kids – and help her see the strengths associated with this. For example, she probably notices things most people don't, or she may have the ability to stay highly focused on a subject of interest or a favored activity. 9. Sensitive children on the spectrum are often overwhelmed and exhausted after dealing with crowds, noisy environments, bright lights, and other sources of over-stimulation. These children often need time to relax and take a break – otherwise, you can expect a meltdown. Thus, avoid over-scheduling your youngster or expecting too much participation in activities that may involve over-stimulation. Some moms and dads find it helpful to offer their youngster a “serenity corner” with quiet activities (e.g., coloring books, an iPod with soothing music, magazines to read, etc.). 10. Don’t try to force your AS or HFA youngster to adapt to society’s demands. Love and accept him unconditionally. You can’t change who he is. He needs to know you love him no matter how he perceives or reacts to the world. 11. Sensitive children need consequences for poor choices just like any other youngster. Just because a “special needs” boy or girl cries or feels bad doesn’t mean he or she should not receive a consequence for a particular behavioral problem. However, it is important to use discipline (i.e., parental instruction) and not punishment (i.e., parental revenge). Logical consequences are very helpful in the case of the AS or HFA child, because they connect the consequence directly to the misbehavior. 12. Sensitive children need to learn how to verbalize their uncomfortable emotions, and they need to discover appropriate ways to cope with those emotions. “Emotion coaching” can be an excellent way to help these young people how to identify and deal with uncomfortable feelings in socially acceptable ways. 13. “Demonstrate” rather than “order.” When your sensitive youngster acts badly, show her the behavior that you expect. In a calm manner using a soft voice, tell her to “stop and watch.” Then start doing the same behavior that she was doing (she may think you are being silly and realize how ridiculous her behavior was). Next, show her the proper behavior. The act of seeing what you expect (rather than listening to your lectures) will make a stronger and more memorable impact. 14. Before issuing a consequence for misbehavior, step away from the situation momentarily while you select your words carefully. Take a calm tone and clearly explain your youngster's incorrect behavior and the resultant consequence. Patiently explain to her the behavior that you expect in the future. After she has calmed down, give her a hug and reassure her that everything will be fine. In conclusion, consider being more sensitive yourself as the parent. Being a sensitive mom or dad may be helpful in understanding your AS or HFA youngster’s temperament and particular needs as to his sensitivities (e.g., lights, crowds, sounds, clothes, and other preferences). It is especially helpful if a sensitive youngster is born to a well-adjusted, sensitive parent that can steer him in the right emotional direction. Of course, this is true of any youngster with good role models. But, sensitive kids need especially good role models, because they are learning how to use their “gift of sensitivity” in a world that usually doesn't value this trait. There are many things moms and dads can do to help their kids with Aspergers and High-Functioning Autism (HFA) overcome their challenges and get the most of life. From learning all you can about autism spectrum disorders to getting your youngster into treatment right away, you can make a big difference. It’s also important to make sure you get the support you need. When you’re looking after a youngster with Aspergers or HFA, taking care of yourself is not an act of selfishness—it’s a necessity. Being emotionally strong allows you to be the best mother or father you can be to your youngster in need. If you've recently learned that your youngster has (or might have) the disorder, you're probably wondering and worrying about what comes next. No parent is ever prepared to hear that a youngster is anything other than happy and healthy, and a diagnosis of an autism spectrum disorder can be particularly frightening. You may be unsure about how to best help your youngster, or you may be confused by conflicting treatment advice. Also, you may have been told that the disorder is an incurable, lifelong condition, leaving you concerned that nothing you do will make a difference. How will my youngster learn best (e.g., through seeing, listening, or doing)? While it is true that the disorder is not something a person simply "grows out of," there are many treatments that can help kids learn new skills and overcome a wide variety of developmental challenges. From free government services to in-home behavioral therapy and school-based programs, assistance is available to meet your youngster's special needs. With the right treatment plan, and a lot of love and support, your youngster can learn, grow, and thrive. As the parent of a youngster with Aspergers, HFA, or related developmental delays, the best thing you can do is to start treatment right away. Seek help as soon as you suspect something’s wrong. Don't wait to see if your youngster will catch up later or outgrow the problem. Don't even wait for an official diagnosis. The earlier kids on the autism spectrum get help, the greater their chance of treatment success. Early intervention is the most effective way to speed up your youngster's development and reduce the symptoms. 1. Accept your youngster – quirks and all. Rather than focusing on how your youngster is different from other kids and what he or she is “missing,” practice acceptance. Enjoy your kid’s special quirks, celebrate small successes, and stop comparing your youngster to others. Feeling unconditionally loved and accepted will help your youngster more than anything else. 2. Become an expert on your youngster. Figure out what triggers your child's “bad” or disruptive behaviors and what elicits a positive response. What does he find stressful, calming, uncomfortable, and enjoyable? If you understand what affects your youngster, you’ll be better at troubleshooting problems and preventing situations that cause difficulties. 3. Don’t give up. It’s impossible to predict the course of the disorder. Don’t jump to conclusions about what life is going to be like for your youngster. Like everyone else, kids on the spectrum have an entire lifetime to grow and develop their abilities. 4. Learn about the disorder. The more you know about it, the better equipped you’ll be to make informed decisions for your child. Educate yourself about the treatment options, ask questions, and participate in all treatment decisions. • Stick to a schedule. Kids with an autism spectrum disorder tend to do best when they have a highly-structured schedule or routine. Again, this goes back to the consistency they both need and crave. Set up a schedule for your youngster, with regular times for meals, therapy, school, and bedtime. Try to keep disruptions to this routine to a minimum. If there is an unavoidable schedule change, prepare your youngster for it in advance. • Reward good behavior. Positive reinforcement can go a long way with kids on the spectrum, so make an effort to “catch them doing something good.” Praise them when they act appropriately or learn a new skill, being very specific about what behavior they’re being praised for. Also, look for other ways to reward them for good behavior, such as giving them a sticker or letting them play with a favorite toy. • Create a home safety zone. Carve out a private space in your home where your child can relax, feel secure, and be safe. This will involve organizing and setting boundaries in ways your youngster can understand. Visual cues can be helpful (e.g., colored tape marking areas that are off limits, labeling items in the house with pictures). You may also need to safety proof the house, particularly if your youngster is prone to tantrums or other self-injurious behaviors. • Be consistent. Kids with Aspergers and HFA have a hard time adapting what they’ve learned in one setting (e.g., the therapist’s office, school) to others, including the home. For example, your youngster may use sign language at school to communicate, but never think to do so at home. Creating consistency in your youngster’s environment is the best way to reinforce learning. Find out what your youngster’s therapists are doing and continue their techniques at home. Explore the possibility of having therapy take place in more than one place in order to encourage your child to transfer what he or she has learned from one environment to another. It’s also important to be consistent in the way you interact with your youngster and deal with challenging behaviors. 6. Find nonverbal ways to connect. Connecting with an Aspergers or HFA youngster can be challenging, but you don’t need to talk in order to communicate and bond. You communicate by the way you look at your youngster, the way you touch him or her, and by the tone of your voice and your body language. Your youngster is also communicating with you, even if he or she never speaks. You just need to learn the language. • Figure out the need behind the tantrum. It’s only natural to feel upset when you are misunderstood or ignored, and it’s no different for kids on the spectrum. When they act out, it’s often because you’re not picking up on their nonverbal cues. Throwing a tantrum is their way communicating their frustration and getting your attention. • Look for nonverbal cues. If you are observant and aware, you can learn to pick up on the nonverbal cues that kids with Aspergers and HFA use to communicate. Pay attention to the kinds of sounds they make, their facial expressions, and the gestures they use when they’re tired, hungry, or want something. • Make time for fun. A youngster coping with this disorder is still a kid. For both kids and their parents, there needs to be more to life than therapy. Schedule playtime when your youngster is most alert and awake. Figure out ways to have fun together by thinking about the things that make your youngster smile, laugh, and come out of their shell. Your youngster is likely to enjoy these activities most if they don’t seem therapeutic or educational. There are tremendous benefits that result from your enjoyment of your youngster’s company and from your youngster’s enjoyment of spending unpressured time with you. Play is an essential part of learning and shouldn’t feel like work. • Pay attention to your youngster’s sensory sensitivities. Many kids on the spectrum are hypersensitive to light, sound, touch, taste, and smell. Others are “under-sensitive” to sensory stimuli. Figure out what sights, sounds, smells, movements, and tactile sensations trigger your child's “bad” or disruptive behaviors and what elicits a positive response. If you understand what affects your youngster, you’ll be better at troubleshooting problems, preventing situations that cause difficulties, and creating successful experiences. 7. Create a personalized treatment plan. With so many different treatments available, and it can be tough to figure out which approach is right for your youngster. Making things more complicated, you may hear different or even conflicting recommendations from moms and dads and docs. When putting together a treatment plan for your youngster, keep in mind that there is no single treatment that will work for everyone. Each person on the spectrum is unique, with different strengths and weaknesses. Actively engage your youngster's attention in highly structured activities. Build on your youngster's interests. Involve the moms and dads. Keep in mind that no matter what treatment plan is chosen, your involvement is vital to success. You can help your youngster get the most out of treatment by working hand-in-hand with the treatment team and following through with the therapy at home. When it comes to treatment, there are a dizzying variety of therapies and approaches. Some therapies focus on reducing problematic behaviors and building communication and social skills, while others deal with sensory integration problems, motor skills, emotional issues, and food sensitivities. With so many choices, it is extremely important to do your research, talk to treatment experts, and ask questions. But keep in mind that you don't have to choose just one type of therapy. The goal of treatment should be to treat all of your youngster's symptoms and needs. This often requires a combined treatment approach that takes advantage of many different types of therapy. Common treatments for Aspergers and HFA include behavior therapy, speech-language therapy, play-based therapy, physical therapy, occupational therapy, and nutritional therapy. 8. Find help and support. Caring for a youngster with Aspergers or HFA can demand a lot of energy and time. There may be days when you feel overwhelmed, stressed, or discouraged. Parenting isn’t ever easy, and raising a youngster with special needs is even more challenging. It’s essential that you take care of yourself in order to be the best parent you can be. • Respite care – Every parent needs a break now and again. And for moms and dads coping with the added stress of an autism spectrum disorder, this is especially true. In respite care, another caregiver takes over temporarily, giving you a break for a few hours, days, or even weeks. To find respite care options in your area, see the box to the right. • Individual, marital, or family counseling – If stress, anxiety, or depression is getting to you, you may want to see a therapist of your own. Therapy is a safe place where you can talk honestly about everything you’re feeling—the good, the bad, and the ugly. Marriage or family therapy can also help you work out problems that the challenges of life with an Aspergers or HFA youngster are causing in your spousal relationship or with other family members. • Support groups – Joining a support group is a great way to meet other families dealing with the same challenges you are. Moms and dads can share information, get advice, and lean on each other for emotional support. Just being around others who are in the same boat and sharing their experience can go a long way toward reducing the isolation many moms and dads feel after receiving a youngster’s diagnosis. Be involved in developing your youngster’s IEP from start to finish. Invite anyone you want—from a relative to your youngster’s doctor—to be on the IEP team. Request an IEP meeting at any time if you feel your youngster’s needs are not being met. Seek an outside evaluation for your youngster. 10. Consider yourself a member of a very elite and interesting group of parents. Many leading figures in the fields of science, politics and the arts have achieved success because they had an autism spectrum disorder. Some of the characteristics linked to the disorder are the same as those associated with creative genius. One of the reasons for this could be the fact that the disorder creates people who are able to persist with one idea for huge periods of time - while those without the disorder would have long since moved on to another area of thought. 1. 3-Dimensional Thinking: Your ability to utilize 3-dimensional visioning gives you a unique perspective when designing and creating solutions. 2. Attention to Detail: Your ability to remember and process minute details without getting lost or overwhelmed gives you a distinct advantage when solving complex problems. 3. Cutting through the Smoke Screen: Your ability to recognize and speak the truth that is being "conveniently" ignored by others can be vital to the success of a project or endeavor. 4. Focus: Your ability to focus on one objective over long periods of time without becoming distracted allows you to accomplish large and challenging tasks. 5. Independent Thinking: Your willingness to consider unpopular or unusual possibilities generates new options and opportunities and can pave the way for others. 6. Internal Motivation: Rather than being swayed by social convention, other's opinions, social pressure or fears, you can hold firm to your own purpose. Your unique ideas can thrive, despite naysayers. 7. Logical Decision Making: Your ability to make logical and rational decisions and stick to your course of action without being swayed by impulse or emotional reactions allows you to navigate successfully through difficult situations without being pulled off-course. 8. Unique Global Insights: Your ability to find novel connections among multidisciplinary facts and ideas allows you to create new, coherent, and meaningful insight that others would not have reached without you. • Anonymous said... Hugs to all you parents out there doing it rough. I am so glad my son has not been as severe with his symptoms of Aspergers. My heart aches for those of you struggling. Hang in there. • Anonymous said... I have had the same situation as the first commenter. I think that my Aspie son is not as extreme as he could be due to my management and him being homeschooled his whole life. Thankfully by the time I told his psychologist all the things he did when little he was able to see that my son is Aspie even if he doesn't show the usual symptoms of a 13 year old Aspie. I hope the first commenter is able to get help if it is needed. • Anonymous said... I loved reading this, I even passed it on to my aunt and husband. Now if I can just get the doctors to agree that my 13 is in fact an Aspie. Any advice on that one?? They said, oh no, I dont see that at all. I'm begining to think I managed well enough with him over the years to mask some of his presence with others. • Anonymous said... I really enjoyed reading this article. My seven year old son was just diagnosed with high functioning Aspergers/ADHD/anxiety. Unfortunately, my ex-husband (his dad) doesn't agree with the doctor or me because he doesn't act the same way at his house. Al they do there is play video games, which is what my son does when he "zones out" and needs to remove himself from all situations. When he comes home after being there, he usually a mess and has meltdown after meltdown. He goes to his dad's every other weekend. His dad also tortures him by making him do stuff that he knows will both him, like go to the movie theater. My aspie is terrified of the movie theater, and hides under his blankie the whole time he is there, and then his dad makes fun of him and calls him a "baby" and a "wimp." Any one got any suggestions? I also have six other kids that live full time with me (18, 16, 12, 9, 6, & 2) and I have a 7 year old step son that comes every other weekend (the weekend when my kids are home with me, so that make 8 kids at home that weekend). • Anonymous said... I have a twenty year old daughter that has never been diagnosed with Asperger’s Syndrome. However, after recently learning more about this disorder, I think she could very possibly have it. Some of the things that I see are as follows: poor personal hygiene doesn’t brush her teeth, wash her hair or take a bath without being reminded, doesn’t like change –never cuts her hair, sits at the same seat at table, wears the same clothes over and over, is a homebody-very few friends gets hung up on one thing and that’s all she wants to talk about has an extreme sense of smell. We are so frustrated with her. I am constantly getting after her, but it does no good. She feels like she is a victim. We took her to family counseling for a while, but It did no good. I don’t know what to do or where to go for help? I would like to have her tested, but I don’t know how to go about telling her or where to go? If you have any advise, it would greatly be appreciated. • Anonymous said... My 6 year old son has never been formally diagnosed with Aspergers but his class teachers agree with me, that he is definitely on the spectrum. He causes no problems at school - he knows how he should behave and the boundaries. He has meltdowns at home but the last few days have been exceptionally hard for me to cope with. He has been telling us that he is rubbish and ugly and we should kill him as he is no good. The worse thing, he means it, you can see it in his eyes. I want to get help for him, but my husband is reluctant- he thinks social services will be involved and doesn't want this to happen. • Anonymous said... My son did the same thing when he was about 4... His father said there was nothing wrong with him and refused to believe so... I went on my own to therapy apts, and joined a group that supported special needs. That was the best thing I ever did and his father now thanks me for it... At age 3 I knew something was wrong and the older he got the worse he was. So by age 4 I had to do something. Now he is 7 and you would hardly know he has aspergers. Many years of therapy and unconditional love and support helped me get thru the tough times. He is still in "group" and he has an attendent care person at school during certain transitions that upset him. He still has moments of where he mumbles stuff like your son but its much better now. Just because he has a disorder doesnt mean anything is wrong it just makes them more special. Social Services wouldn't be involved at all. You are just a parent worried about you child. My suggestion is to have your husband and son go to therapy. You really learn alot about how they feel and what you guys can do to help him. Hope this gives you some hope. • Anonymous said... My son is 13yrs has Aspergers/ADHD. He has been to three primary schools and now he does corresponds at home. He has learned that us his parents will rescue him from his behaviors as we have done when he was in the school system. He is not violent but manipulative, especially in public where if we try to discipline him he will say we are abusing him. He use to watch TV and act out what he saw believing this was how people acted from programmers such as The Simpsons and Family Guy, which we have banned him from watching. Now he acts like a sheep that he sees from our house and he will smile and bunt us. He has started doing this in public and talking to the sheep in public too. When he goes somewhere he doesn't want to be such on a day trip with Autism NZ holiday programmed he plays up and uses bad language, defiant, yells out to the public saying they are hurting him. He went for a test to see where he was with his learning and afterwards he acted like a mating sheep and used bad language. Please help me with some ideas. We got into a lot of trouble when he was in school as he would make things up and people believed him and now he is a teen I am worried where he is heading. • Anonymous said... My son is almost 14. He has been taking medication since he was 7 for a mood disorder - not otherwise specified. He has also been diagnosed with general anxiety disorder - not otherwise specified and OCD. He is about 75 pounds overweight due to the meds he has been on. He has extreme school anxiety....and he is cyclical. Falls into a terrible depression at the end of February and we typically increase his meds and he is ok til May. Then he dips down again. Last year, he did not get better until he tried to commit suicide in October. He is currently in 7th grade and a full time aide must follow him to direct his every move in regard to school work. 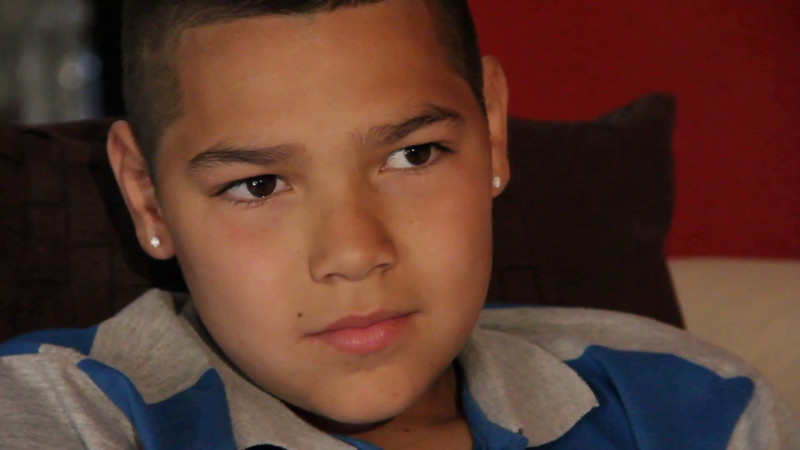 He was in a partial hospitalization program in 5th grade because he refused to go to school. In sixth grade, he never went back after Memorial Day. This year (7th grade), he has not missed a day, but I think that it is because he has the aide. Next year, he will be in 8th grade. On a typical morning, I have to physically remove him from his bed and I never know if he is going to go or not. He has behavioral therapy twice a week for two hours a day. He cries any time he does not get his way. Very easily frustrated. • Anonymous said... The mention of 3-Dimensional Thinking is such a familiar concept. My 7 year old son was diagnosed with High Functioning Asperger's two months ago. I have said, for YEARS, that he speaks in three dimensions. He has always described events and scenes in mind-blowing detail, and that was the only way I could describe it. While there are certainly downsides to being on the spectrum, some of the characteristics are amazingly wonderful. Language seems to develop on time in kids with Asperger’s (AS) and High-Functioning Autism (HFA), but words, while formulated according to the rules, seem to lack functional effectiveness, because they most often are used to express immediate needs or to expound on the youngster’s favorite subjects. Young people with AS or HFA seem not to see the main idea or the pivotal point. They tend to have problems with abstraction, inference, or practical, functional language. Also, their semantic understanding is limited, which frequently shows up in tests and instructional measures of listening comprehension. Instead of delaying language development, AS and HFA impairs the subtleties of social communication. These boys and girls have difficulty understanding nuances (e.g., irony, sarcasm, fanciful or metaphoric language, etc. ), and many of them take language literally (e.g., expressions like “watching paint dry” or “smart as a tack” leave these kids very confused). Young people with AS and HFA are often referred to as “little professors,” which is due to their stiff and often pedantic and monotonic use of language. The varied qualities of expressive language may be unusual, which is called prosody (i.e., the tempo, pitch, loudness, tonality, stress emphasis, and rhythm patterns of spoken language). AS and HFA speech patterns often seem odd to those who don’t know them. Tone, intonation and volume are often restricted, seemingly inappropriate, or appear at odds with what is being said. These kids also have difficulty interpreting and displaying non-verbal communication. Body language, facial expressions, the use of personal space, gestures and postures are often mysteries to boys and girls on the autism spectrum. This inability to instinctively comprehend unspoken communication has led some experts to suggest Asperger’s is actually a non-verbal communication disorder. Attempts to control the language exchange, and may leave a conversation before it is concluded. Difficulty discriminating between relevant and irrelevant information. Displays a delay when answering questions. Displays difficulty analyzing and synthesizing information presented. Displays difficulty as language moves from a literal to a more abstract level. Displays difficulty sustaining attention and is easily distracted (e.g., one might be discussing plants, and the AS or HFA child will ask a question about another country — something said may have triggered this connection, or the child may still be in an earlier conversation). Displays difficulty understanding not only individual words, but conversations and material read. Displays difficulty with problem solving. Displays difficulty with volume control (i.e., either too loud or too soft). Does not make conversations reciprocal (i.e., has great difficulty with the back-and-forth aspect). Engages in obsessive questioning or talking in one area. Focuses conversations on one narrow topic – with too many details given. Has difficulty absorbing, analyzing, and then responding to information. Has difficulty initiating, maintaining, and ending conversations with others. Has difficulty understanding the meaning conveyed by others when they vary their pitch, rhythm, or tone. Impairment in prosody (i.e., the pitch, stress, and rhythm of the voice). Impairment in the pragmatic use of language (i.e., the inability to use language in a social sense as a way to interact and communicate with others). 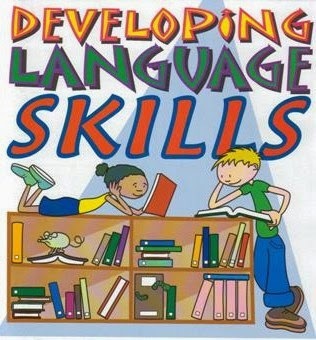 Impairment in the processing of language (i.e., one’s ability to comprehend what has been said). Impairment in the semantic use of language (i.e., understanding the language being used). Interprets known words on a literal level (i.e., concrete thinking). Is unsure how to ask for help/make requests/make comments. Knows how to make a greeting, but has no idea how to continue the conversation (e.g., the next comment may be one that is totally irrelevant). Lacks interest in the topics of others. Moves from one seemingly unrelated topic to the next. Once a discussion begins, it is as if there is no “stop” button (i.e., must complete a predetermined dialogue). Processing of information is slow and easily interrupted by any environmental stimulation (i.e., difficulty with topic maintenance), which appears as distractibility or inattentiveness. Rarely varies the pitch, stress, rhythm, or melody of his speech – and does not realize this can convey meaning. Rhythm of speech is more adult-like than child-like. Uses conversation to convey facts and information about special interests, rather than to convey thoughts, emotions, or feelings. Uses language scripts or verbal rituals in conversation, often described as “nonsense talk” by others. Scripts may be made up or taken from movies, books or television programs (e.g., uses the voice of a movie or cartoon character conversationally and is unaware that this is inappropriate). At times, the scripts are subtle and may be difficult to detect. Some children on the autism spectrum have a full-blown language disorder. Language disorder refers to problems with understanding the message coming from others (i.e., receptive language), and/or getting their meaning or message across to others (i.e., expressive language). difficulty finding the right words when talking, and often use placeholder words such as "um"
Because of their language problems, AS and HFA kids often have difficulty in social settings. Speech and language therapy is the best approach to treating this type of disorder. Psychological therapy (e.g., psychotherapy, counseling, or cognitive behavioral therapy) is also recommended because of the possibility of related emotional or behavioral problems. Moms and dads who are concerned that their youngster's speech or language is lacking should see their doctor. Ask about getting a referral to a speech and language therapist. Many people believe that speech and language treatment can’t begin until a youngster starts talking. This is not true. Treatment can - and should - begin as soon as possible. Research shows that kids know a lot about language long before the first word is ever spoken. Your youngster’s treatment team might include a doctor, an audiologist, a speech-language pathologist, an occupational therapist, and/or a social worker. Answer your youngster every time he speaks. This rewards him for talking. Ask your youngster lots of questions. Describe for your youngster what she is doing, feeling and hearing in the course of the day. Don’t try to force your youngster to speak. Expand on what your youngster says (e.g., if your youngster says, “fruit” …you can say, “Oh, so you want some fruit”). Follow your youngster’s lead, so you are doing activities that hold his interest as you talk. Have your youngster play with “typical” kids whose language may be more advanced. Listen to your youngster. Look at her when she talks to you. Give her time to respond (it may feel like an eternity, but count to 10 before filling the silence). Make eye contact whenever you are conversing with your child (regardless of whether or not he/she is making eye contact with you). Play with your youngster one-on-one, and talk about the toys and games you are playing. Read books aloud. Ask a librarian for books appropriate to your youngster’s age. If your child loses interest in the text, just talk about the pictures. Sing to your youngster and provide them with music. Learning new songs helps your youngster learn new words, and uses memory skills, listening skills, and expression of ideas with words. Talk a lot to your youngster. Tell them what you are doing as you do it. When talking to your child, frequently vary the tempo, pitch, loudness, tonality, stress emphasis, and rhythm patterns of your voice. Young people with AS and HFA can have problems with any - or all - of these aspects involved in producing or understanding speech and language. Especially, due to their deficits in appreciating social situations, they may not have any understanding of how others might respond to a communicated message. These children frequently appear to have deficits in paying attention to auditory information. Thus, they frequently have to be ‘trained’ to pay attention to sounds. Even when they are paying attention, they often seem to have difficulty in decoding what sounds mean and in matching them to words or thoughts. In some children on the autism spectrum, this may be because they actually have difficulties with words and thoughts themselves. Some children with AS and HFA have difficulties with articulation, often as part of a broader problem of difficulty with oral-motor functions (i.e., movements of the lips and tongue, and associated breath control). On the up-side, though, these children are frequently very good with paying attention and appreciating visual materials. Thus, the visual route is often the best way of getting access to their minds and giving them a way of expressing themselves, in turn. Question: Mark, thanks for the very comprehensive article. I work a lot with HFA adults, and I have yet to find a way to get speech therapy for them. Most speech therapists are mystified by adult autism, it seems. Any suggestions? Answer: The best approach for these adults is to simply focus on the social aspects of communication (i.e., how to use language in a way that results in a desirable connection for both parties involved in the verbal exchange).